LeadPages™ is the easiest way to create mobile responsive landing pages, launch pages, sales pages, and other "conversion pages". You can integrate LeadPages™ easily with SalesAutopilot, so you can gather leads directly into your SalesAutopilot lists. Log into LeadPages™. First you have to setup integration, if you haven't done so. Click "My Account / Integrations". 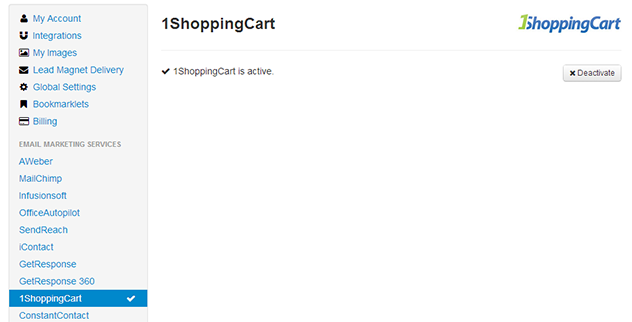 Click "1ShoppingCart" under "Email marketing services", then the "Activate" button. Also turn on the "Other Copy/Paste" option from the left menu. Create a new LeadPage or edit an existing one. 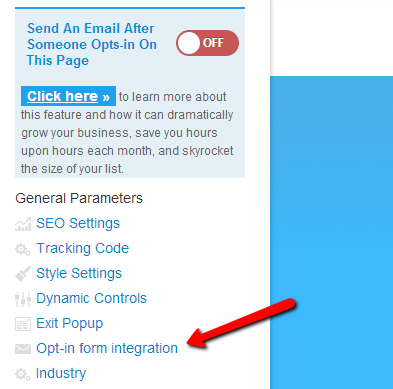 IMPORTANT: you can integrate LeadPage that has Opt-in form integration property. If there is a Multiple Form Fields label under the preview picture in the template list, you can place as many field as you want on the form of the template. 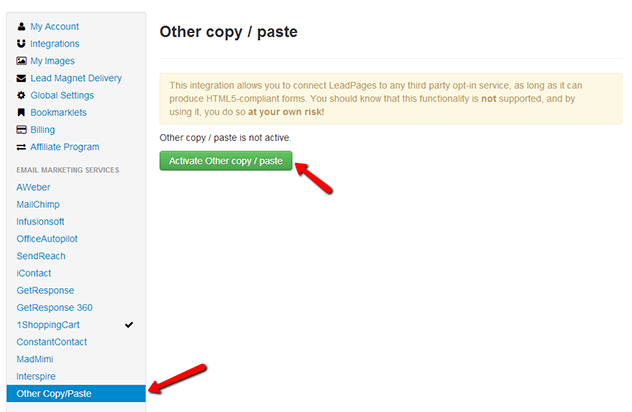 In SalesAutopilot in the left menu click on the form you want to integrate with LeadPages™. Copy the form's code from Embed code for 3rd parties. Make sure the Multiple Form Fields template checkbox is checked. In the source code there are fields and hidden fields (with default values) of the form, but text elements are not included. 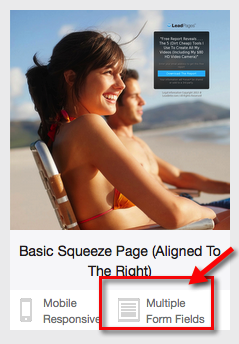 In LeadPages™ while you edit a LeadPage click the "signup button" element. 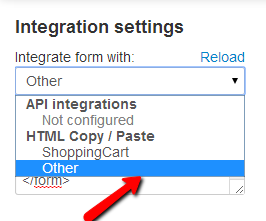 Select the "Other"option from the "Integrate form with:" dropdown list. 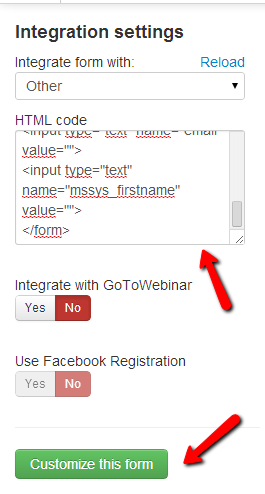 Copy the form's source code from SalesAutopilot into the "HTML code" input field. Then click the "Customize this form" button. After that you can customize the form in LeadPages. You can set which fields will be visible in the form, which will be required. It doesn't matter if a field is set to required in the SalesAutopilot form, you have to set it up in LeadPages. When you make your LeadPage public and fill the form, values will be saved into SalesAutopilot. If you choose a template without Multiple Form Fields option you can also integrate it with SalesAutopilot, but the setup is a little bit different. In SalesAutopilot in the left menu click on the form you want to integrate with LeadPages™. 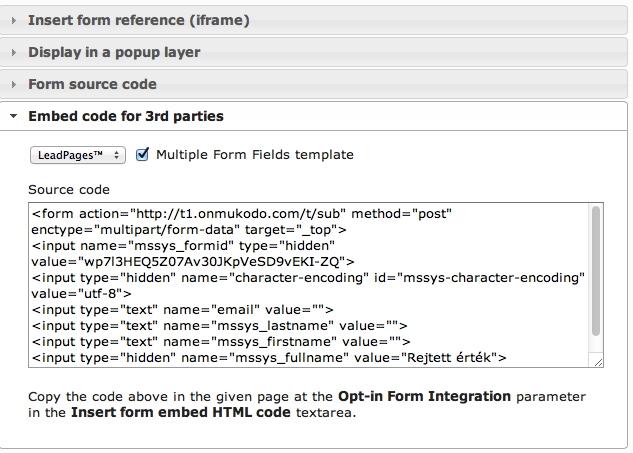 Copy the form's code from Embed code for 3rd parties. Make sure the Multiple Form Fields template checkbox is not checked. In LeadPages™ while you edit a LeadPage click the "signup button" element, then select the "1Shoppingcart" option from the "Select integration" dropdown list. 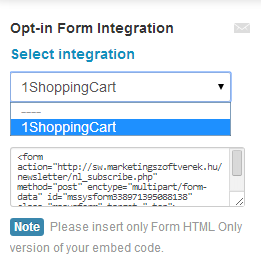 Copy the form's source code from SalesAutopilot into the "Insert form embed HTML code" input field. If you would like to ask for first name then click the "Yes" option of "Use first name field" button. When you finished your settings click the "Okay" button. 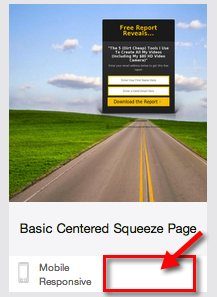 After you make your LeadPages™ page public the form will send subscribers directly into SalesAutopilot. You can integrate with LeadBoxes™ the same way as with LeadPages™. When you're creating a LeadBox click the "Integration settings" in the left menu and follow the description under Template without Multiple Form Fields to insert the SalesAutopilot form's source code.